Working with standardized, prefabricated concepts gives a lot of freedom for individual solutions. Not only in form and design, but also in finish. 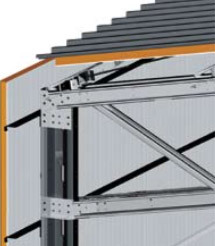 Different colors, insulation, windows, doors, vents and air ducts, loading decks, sheds, waterproofing, separation walls, additional floors, you name it. Whatever your project needs. Depending on the design and customer requirements, can be used different solutions for coatings on walls of buildings. 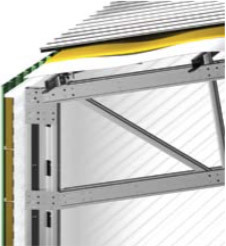 Vertical or horizontal sheeting, with or without condensation film, insulation blankets, insulating cladding panels or three-layer panels “sandwich” type in different colors. Almost limitless opportunities for materials and insulation. Frisomat consultant will help you to find the ideal solution. 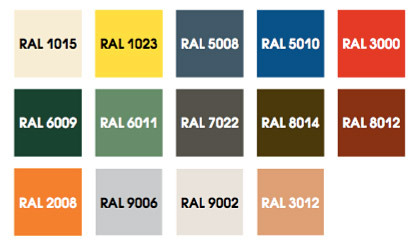 We offer a variety of standard colours for your projects.